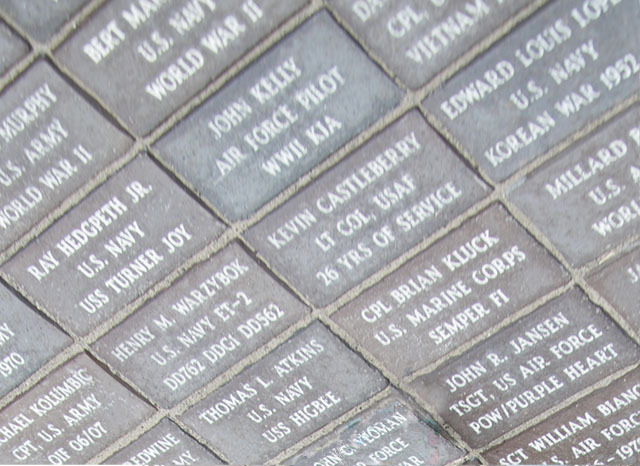 Over 2,000 individuals and groups have purchased commemorative bricks to honor military service members, their family and the Lakewood community at the new Veterans Memorial Plaza. Brick location numbers for veterans featured on this site will be listed on the individual veteran's story page. Use that number to locate the specific brick on the map. Click here to view the brick locator map. If you would like to purchase a commemorative brick to be installed at Lakewood's Veterans Memorial at Del Valle Park, please click here to learn more.